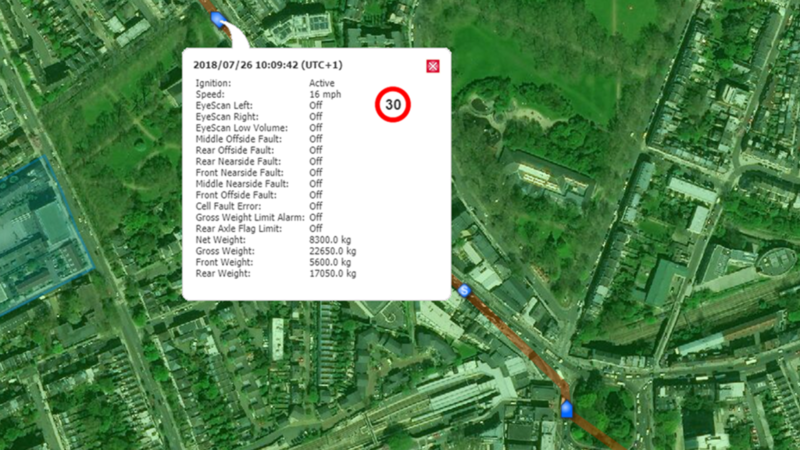 Vehicle Axle Weight monitoring is becoming more critical, RE-Tech UK has the solution integrating with the vehicles On Board Weighing (OBW) system to provide accurate Weight in Motion (WIM) data straight to your PC and desktop. Front and rear axle weights can be measured and displayed through our trackNtrace software giving you this vital information that can avoid your driver and organisation being fined and your vehicle impounded. With roadside vehicle checks becoming more frequent and one in three vehicles found to be overloaded, having this data has never been more needed.